Our passion and love for wood started in Swarzędz Furniture Factory. We were part of this company, it shaped our professional skills and taught us a noble furniture craft. With this passion the Swarzędz Home brand was born. 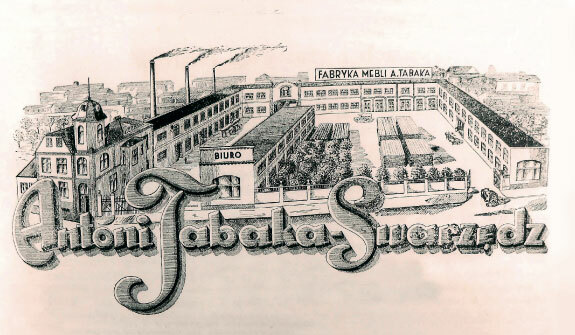 The old factory of A. Tabaka and Swarzędz Furniture factory don’t exist anymore but the power of the brand has survived and is deeply rooted in people who cherish the best traditions but are open to innovations. Our tradition dates back to 1905 but we keep thinking about our future, we are open to new ideas. 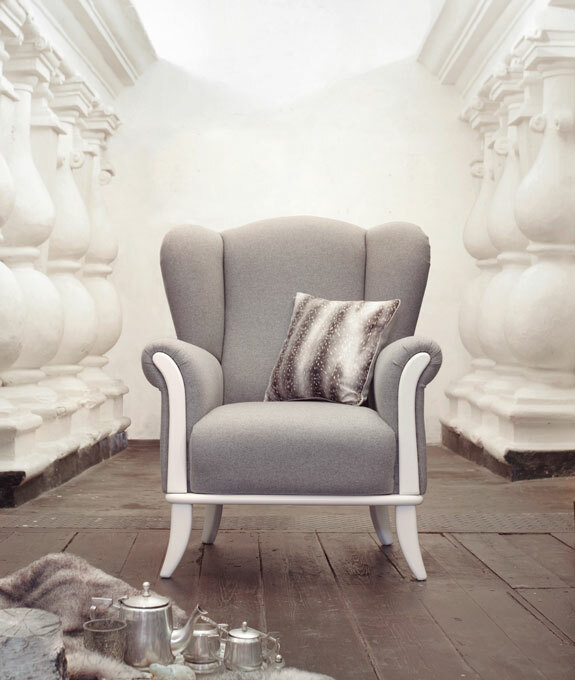 We create furniture of timeless beauty and the highest quality. We are inspired by traditional and natural materials: wood, leather, stone which require artistry and noble handwork. In production facilities from Swarzędz, we manufacture furniture and furniture accessories using traditional methods. In the middle of nineteenth century. 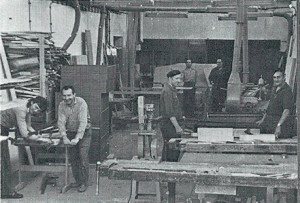 Swarzędz became a strong center of wood processing and furniture manufacturing craft. 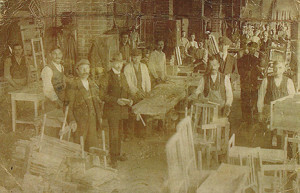 But the real story of Swarzędz furnitures begins in 1905. 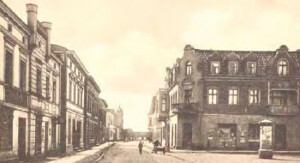 Antoni Tabaka, after his marriage to Maria Knade, daughter of a wealthy craftsman, opened in Swarzędz Wrzesinska street carpentry, employing a few people. 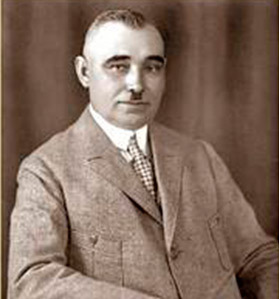 After Poland regained independence Antoni Tabaka involved in social and economic life of Swarzędz. He is the creator of the guild of carpenters, is active in the building of the exhibition hall. Also participates in the buyout of former German workshops. His company employs 30 people. He begin building of a modern mechanized factory, which is to specialize in the production of tables and chairs. 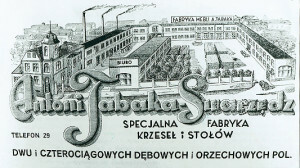 Antoni Tabaka’s Special Tables and Chairs Factory received the commercial register number 3347 and became the most modern furniture factory in Poland. Half of the furniture produced by Tabaka goes to Germany, the Netherlands, Denmark and even Turkey. Son in-law of Antoni Tabaka, Franciszek Zawidzki, joined in family business and built a sawmill. The company under the name Steam Sawmill woodworking F.Zawidzki , Poznańska 25 street, specialized in the production of sawn timber and elements within the framework of cooperation with Chairs and Tables Factory. Both private establishments on Wrzesińska and Poznańska street goes very well. Tabaka focuses on design, continuous technological modernization and conducted a large-scale marketing activities. Evidenced by the old catalogs and price lists, where are presented hundreds of designs of tables and chairs offered in a variety of markets. 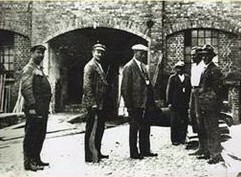 At the end of the 30s Tabaka factory employs about 280 people. Period of magnificence the two highly successful businesses interrupts the outbreak of the Second World War. In September, 1939. Polish factories are subject to management Wirtschaft- Warthegau and Tabaka factory is takesn by Irschik Wolf, producing boxes for ammunition for the aviation industry. Germans displaced Maria and Antoni Tabaka from villa on Wrzesińska 7 street in Swarzędz in 1939 and sentenced to stay in concentration camps. The family never returned to Swarzędz. 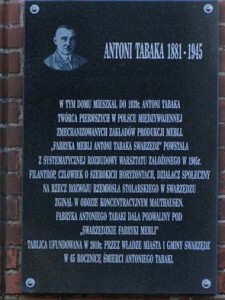 Antoni Tabaka died in 1945 in Mauthausen. On the basis of the Act on the nationalization of industry, Tabaka and Zawidzki factories are taken by state and incorporated in the Wielkopolska Wood Works. 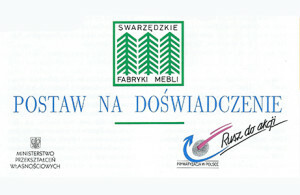 On base of both factories of Tabaka and Zawidzki, is formed company called Swarzędzs Furniture Factory. However, among the several generations of workers employed in Swarzędz Furniture Factory on Wrzesińska street, the question of where you work functioned answer “At Tabaka”. Initially on Poznańska street production takes place in the barracks, but it’s beggining a period of modernization and building of new halls, which will usher in the development of the famous Swarzędz factory No. 1. 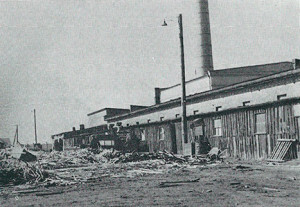 In several years in Swarzędz on Poznańska street built a new production facility at the place of damaged, primitive barracks. Modernized production technology and assortment changes were introduced. Begins production for export markets earmarked for, First Payment Area (CMEA). Due to that Swarzędz Furniture Factories back in the 60’s acquired title of a leading furniture manufacturer in Poland. 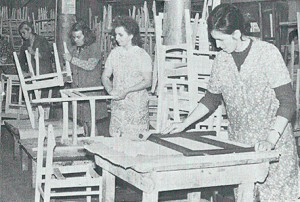 Swarzędz Furniture Factories besides industrial plants in Swarzędz had factories in other cities of wielkopolska region such as: Poznań, Kostrzyn, Mosina, Kościan, Rawicz, Bojanowo, Gostyń. The company acted as a function of unification for 22 furniture manufacturers in the wielkopolska region. The company management in the adopted development strategy focuses on the training and increase qualifications of the entire staff in the production system as well as the management. In 1976, the position of Chief Executive of SFM is taken by Dr. Eng. Andrzej Pawlak, who will manage the company to 1990. and lead her to privatization. 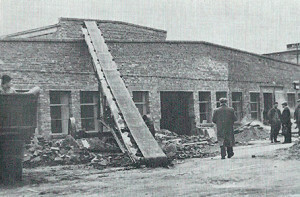 Swarzędz Furniture Factory in the time of director Andrzej Pawlak gained the Polish furniture industry established reputation and went period of rapid development. 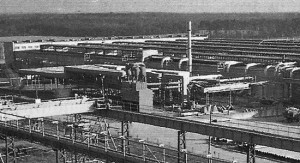 In 1989, in Mosin put into operation a new plant equipped with machinery and equipment. The huge production complex, which accounted Swarzędz Furniture Factories in the late ’80s employed 3400 workers. 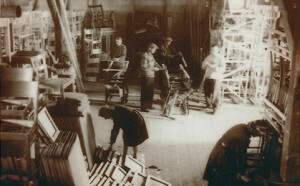 The company was the largest manufacturer and exporter of furniture in Poland. Collaborated with the Academy of Fine Arts in Poznań and the leading designers like Zenon Bączyk, Mirosław Stachowiak, Leonard Kuczma. In parallel with the production investments established social facilities for the crew: nursery school, kindergarten, staff hotel, sports facilities, worker cafeteria, recreational centers. The company has also initiated in Swarzędz first “block” housing. As a result of the Law on privatization shares of the company Swarzędz Furniture Factories, was introduced on the Warsaw Stock Exchange in the month of June 1991 year. Since privatization to 2009 introduced a number of organizational, capital and production changes. These, however, did not generate sufficient results allow for the functioning and development of the company. On 10 March 2009, the Extraordinary General Meeting of shareholders adopted a resolution to dissolve the company and its liquidation. The beginning of a new story. Following the bankruptcy of Swarzędz Furniture SA offer the sale of assets of the company were also trademarks. These marks have been bought by the individuals person who, in order to reactivate the most famous Polish furniture brand formed company under the name of Swarzędz Home. 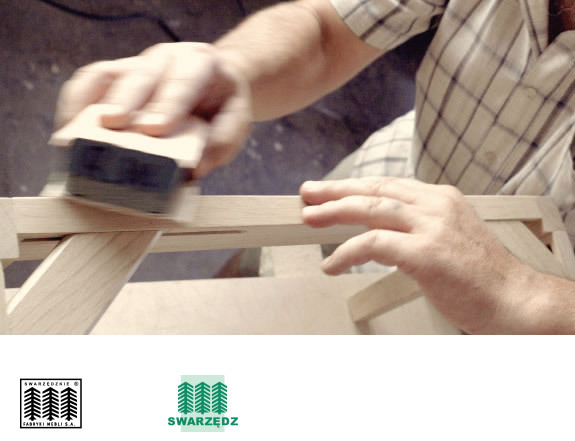 Swarzędz Home uses local traditions and supports the production of new branded products with the most experienced carpenter and upholstery plants in Swarzędz. In March 2017. 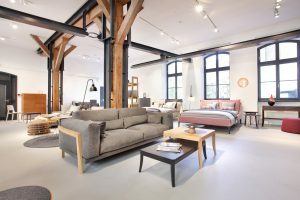 Swarzędz Home showroom in Poznań opens. In the historical interiors of Joseph Zeyland Factory at ul. Wszystkich Swiętych 4A products are available at Swarzędz Home and renowned European brands like Ton, Ondaretta, Mebles 114, Joquer. At the showroom you can take advantage of the services of a designer and commission a comprehensive interior. 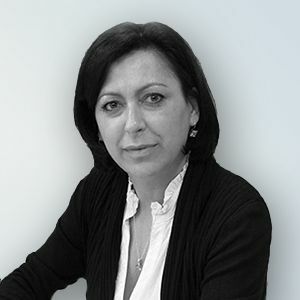 Furnitures and beautiful interiors are her profession passion. In 2013 decided to fulfill a dream and revitalize the furniture brand Swarzedz. 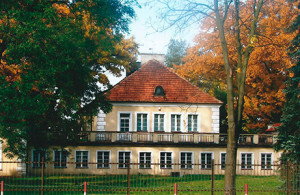 In Swarzędz Home serves as President of the Board. Deals mainly with strategic areas – branding and product development. Mature enthusiast, open to innovation. Inspires others to a beautiful life, in a comfortable space that reflects the dreams, personality and aspirations. Privately loves to travel. 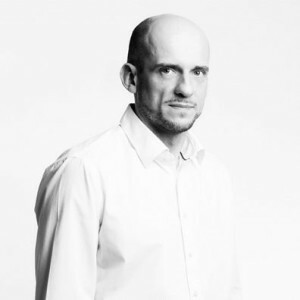 He is a fulfilled Polish furniture designer and an academic teacher at University of Arts in Poznan. For those who know him he is most of all a beautiful, open-minded and modest man. His portfolio of furniture that where implemented into production consists of over 100 designs. He has been designing for 35 years, but he often comes up with innovative ideas. He used to work for Swarzedz Furniture factory. 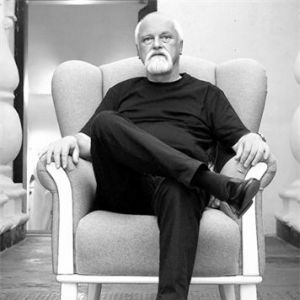 In the 90’s he created original and best-selling sets of furniture such as Sara, and Aron. He knows perfectly all the features and limits of wood and other natural resources. He can bring all the most beautiful forms out of them. He combines his experience with the skills of carpenters, upholsterers and design engineers he cooperates with. His designs deserve to be named contemporary classic. They are unique and well-thought-out in respect of aesthetics, functionality, construction and used materials. They are masterfully designed with great reverence and respect for traditional techniques of furniture craft. 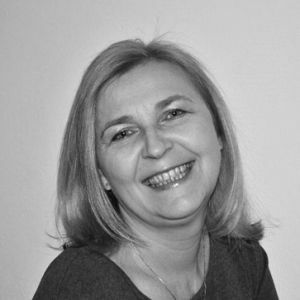 Her adventure began in the furniture industry Swarzędz Furniture Company, and later she cooperated with the biggest Polish furniture producers. In Swarzędz Home is responsible for contacts with strategic customers in easternn markets. In business relies on stable and good relations based on fair trading. Privately, she’s characterized by empathy and optimism. Comes from a family with a long furnitures traditions. The first vocational experience gained in the trade network of Swarzędz’s Furniture Factory and since then continuously working in the furniture industry. In Swarzędz Home directs the Office of Trade and is responsible for contacts with suppliers and distributors in the domestic market.Born optimist. She values honesty, naturalness and sense of humor. He graduated from the Academy of Fine Arts in Poznan graduating with distinction in the field of design. In 2011 he received a PhD in the field of art of design. In addition to the projecting activity is working as a lecturer at the Faculty of Architecture and Design at the University of Arts in Poznan. In Swarzędz Home creates new forms and seeking innovative solutions with connection to traditional furniture craftsmanship. 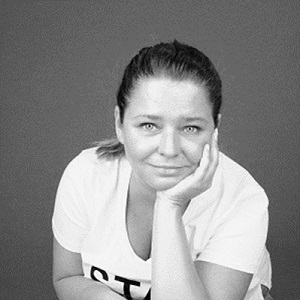 A graduate of Interior Design Academy of Fine Arts in Poznan. For ten years he is working with the furniture business. In Swarzędz Home is responsible for the interior design. The projects most valued individuality and personal approach to the client. 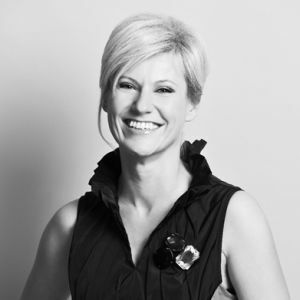 Her passion is interior styling, inspirational fabrics, textures and materials. Artistic soul with a heart of gold. Champion of improvisation – shie can create beauty of nothing.